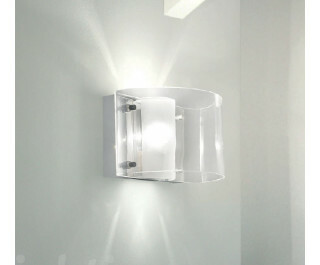 The Chimera pp wall lamp by Vistosi has been designed by Giovanni Barbato 2005. This transparent blown glass design is decorated with a sanded down central diffuser. This unique design will add flavor to any decor. This beautiful light was hand crafted on the island of Murano.